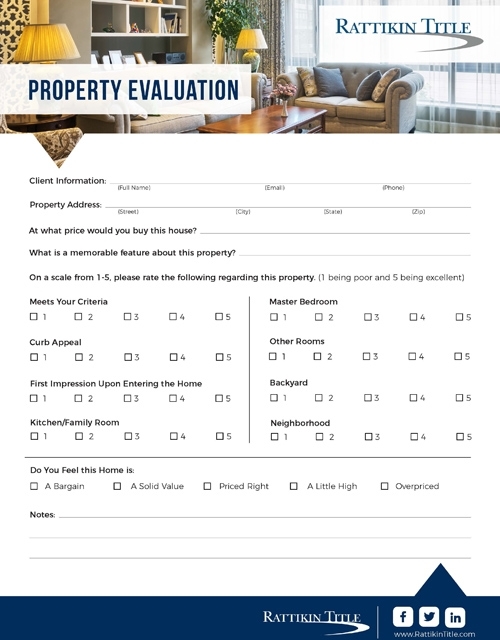 Our property evaluation form is great for buyers who are viewing multiple listings. It helps them keep track of what they like about each property and has them evaluate their first impressions. Another great use for this form is at open houses. Listing agents can gain important insight about a particular listing by having open house visitors fill out this form.